You can now view your schedule in your calendar apps such as Google Calendar, Outlook or iCal, or even print as a CSV or a physical copy. 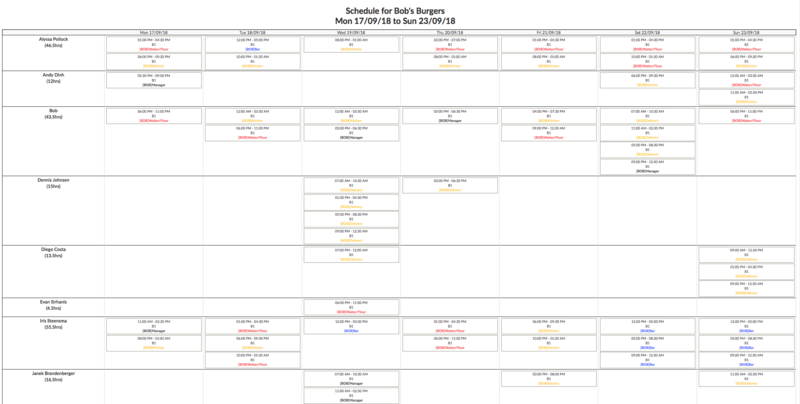 We've included options for printing your schedule. 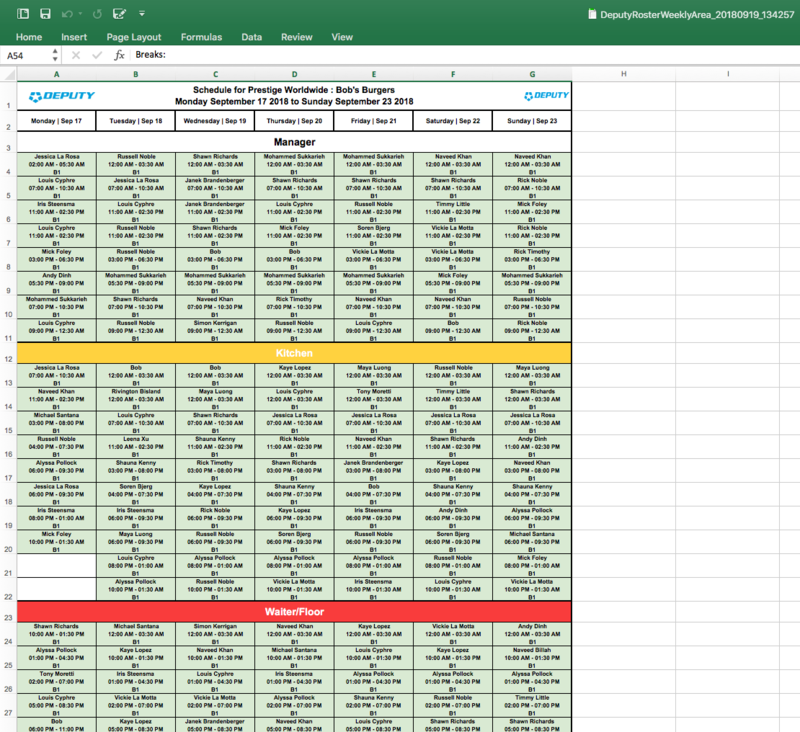 You can now print your schedule via CSV, Excel (.xls) or PDF format. This gives added flexibility with the way you want your schedule to be viewed. 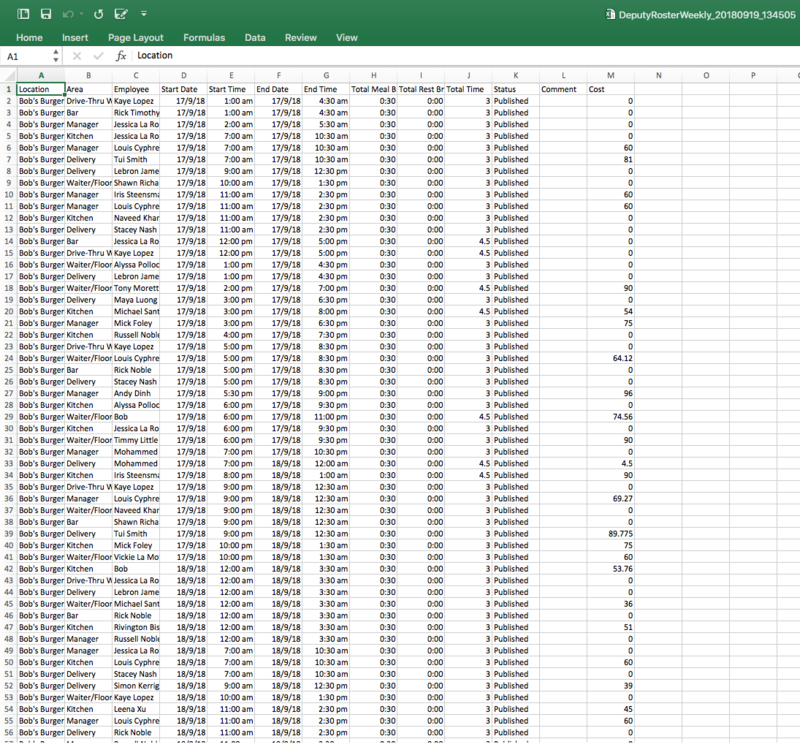 If you are printing/exporting via CSV or Excel format will need a program which can open these files, such as Microsoft Excel or Keynote for Apple. If you are exporting as a PDF, you can use Adobe Acrobat Reader or Foxit Reader. Please ensure that your areas are populated. 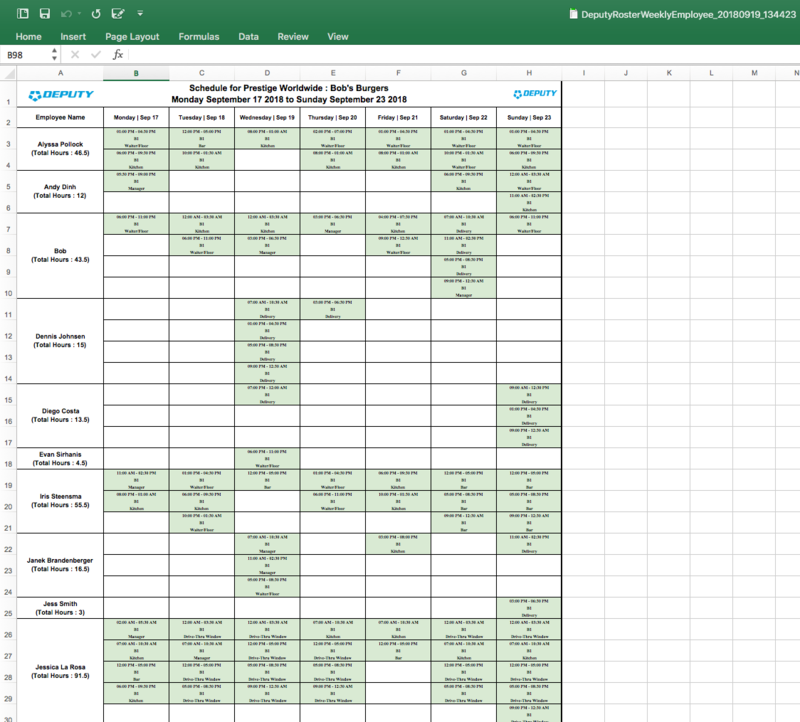 To print or export your schedule, navigate to the Schedule tab. Now click 'Export'. 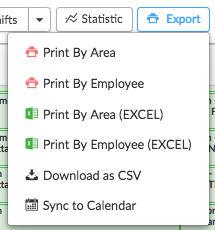 You will see a drop-down box that will give you four (4) options, 'Print By Area of Work (PDF)', 'Print by Area of Work (EXCEL)', 'Download as CSV', and 'Sync to Calendar'. Select your preferred option. 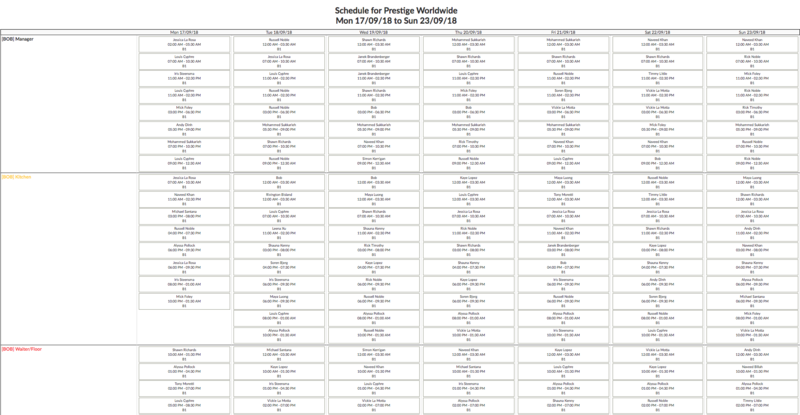 We've included what each schedule looks like in each format. 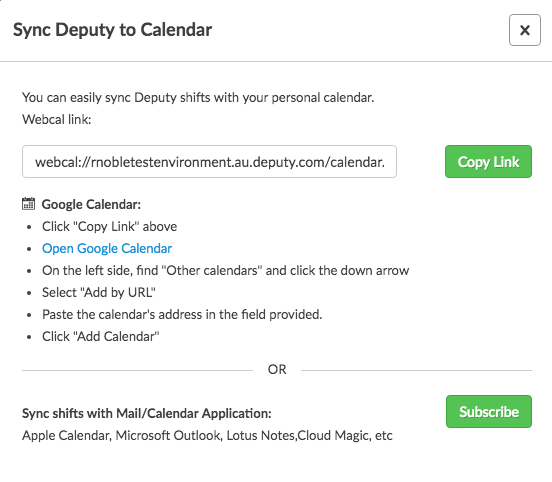 Alternatively, you can learn how to sync your schedule to your calendar application (iCal, Outlook, Google Calendar) by clicking here. Deputy works on a WYSIWYG (What You See is What You Get) principle. This means actions you perform on screen will only generally involves elements that are displayed. You may want to print specific areas. To do this, head to the Schedule page. 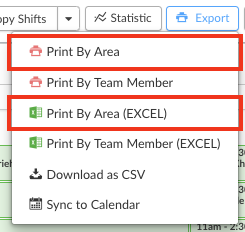 Then, click 'Hide Area' on areas you do not want to see in the Schedule Print. In this example, we've hidden the Kitchen, Waiter/Floor, and Delivery areas. Now click Export, and select one of the Area print options. You will then see a print preview, which omits the hidden areas. 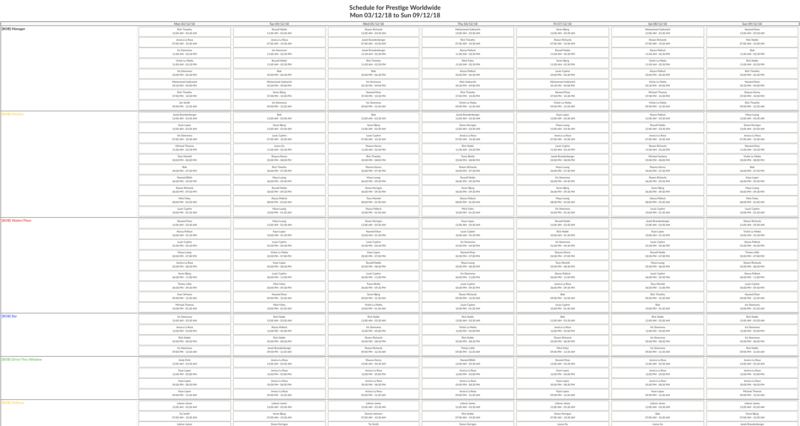 In comparison, the screenshot has areas hidden, while the below has all areas displayed.